Wild Boar Stewing Meat Serves Up a Thick and Savoury Lunch or Dinner. Serve with Fresh Country Bread for a Delicious Meal. 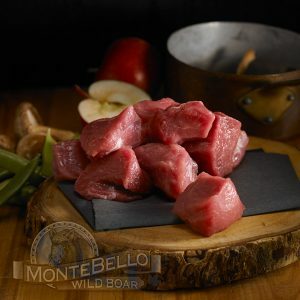 Our Wild Boar Contains No Hormones, No Steroids, No Antibiotics. Completely Additive Free.